China House Fast food is one of the best Chinese restaurants in Accra. it is located in the famous Osu close to the 17th Ln on oxford street. it is also in close proximity to the Danquah circle giving you the best view of one of the busiest places in Accra With a soothing atmosphere and customer focused vision they offer Chinese, Asian, vegan and vegetarian friendly meals that give customers diverse options to choose from. They serve many family recipes that are unique for all families and even your kids.With Family pride being the point here, the restaurant is not only beautifully furnished but also comes with a spacious parking lot which is fully guarded by top security personnel who up hold the safety of each and every customer in high esteem. 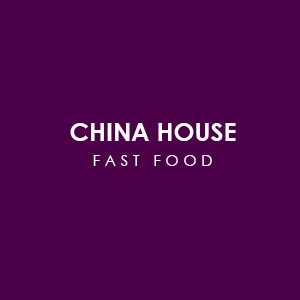 With prices of their food being very affordable and the large variety of meals to choose from on the menu, China house fast food is one restaurant worth visiting for reasons that go well beyond your imagination. Choose from their tasty menu including soup, hot appetizers, chicken sauces, beef sauces, rice and chips, soup and fried noodles, assorted vegetables, curry frog legs, cold bean curd and golden fried shrimps. There’s nothing unassuming about this restaurant, they are scheduled to work between the hours of 11am to 11pm from Monday through to Sunday. They mostly run promotions from time to time to favor and appreciate their customers. They offer other services such as hosting customers celebrating their birthdays to get together with friends and family there in the restaurant plus other really great packages. Apart from walking into the restaurant to enjoy the above-mentioned services, they provide delivery services as well. Pizarea is the online food ordering platform that china house fast food restaurant leverages on to provide online food ordering,payment and delivery services to their customers who crave their meals but cannot pick up. With these online services, customers can be in the comfort of their homes, schools, offices to order food and then have it delivered to their door steps with so much ease. This also solves the problems of long queues at the restaurants for customers.